Growth in sales of new cars during the financial year so far has been half compared to its projection at 4 percent. Market sentiments are worse than the slowdown of 2012-13 say several new car dealers. This comes despite all-time high discounts offered even on those models that are not even six months old. The Budget disappointed with no announcement in the favour of the auto sector. Two-wheelers will continue to be taxed in the same bracket as luxury and sin goods at 28 percent even though there was an expectation from certain companies about bringing down the GST rate to 18 percent. Bajaj Auto, the country’s third largest two-wheeler maker, posted Rs 1,220.77 crore consolidated net profit for the quarter ended December 2018, a growth of 20 percent over Rs 1,013.14 crore net profit posted in the same quarter the previous year. Higher sales of a loss-making model eroded the company’s margins. Hero Motocorp, the country’s largest two-wheeler maker, posted 4.5 percent drop in standalone net profit at Rs 769.10 crore for the same quarter as against Rs 805.43 crore net profit posted in the same quarter last year. Sales of the company have remained under pressure while high raw material costs impacted margin during the reporting quarter. Mahindra & Mahindra, the country’s second largest commercial vehicle manufacturer, launched two new trucks belonging to the intermediate commercial vehicle category with prices starting at Rs 17.45 lakh (ex-showroom Pune). Designed by Italian design house Pininfarina (a M&M owned company), these trucks will play in the 9-14 tonne segment. The 14-tonne truck was also launched on January 29 at Rs 18.10 lakh. Five products will be launched under Bharat Stage IV (BS-IV), while the balance 16 will be launched under the same version after April 2020. Hyundai-controlled Korean car brand Kia started trial production at its Anantpur-based plant in Andhra Pradesh. The company started production with the mid-size SUV codenamed SP2 which is due for launch by September this year. Kia has invested over $2 billion in India with the plant itself having a capacity of 300,000 units a year. The company has promised to begin its India journey with the widest dealership count for any new brand to have entered India. Impressed that the world’s most famous mobile manufacturer doesn’t own a single manufacturing plant,Rajiv Bajaj, the chief of Bajaj Auto, believes his company’s job is to design products and not run factories. Bajaj’s youngest plant at Chakan near Pune has repeatedly seen its production disrupted following labour unrest. Such unrests have hit production volumes in the past, impacting domestic and exports sales. The company is currently the third largest manufacturer of two-wheelers (2Ws) and the largest manufacturer of three-wheelers (3Ws) in the country. 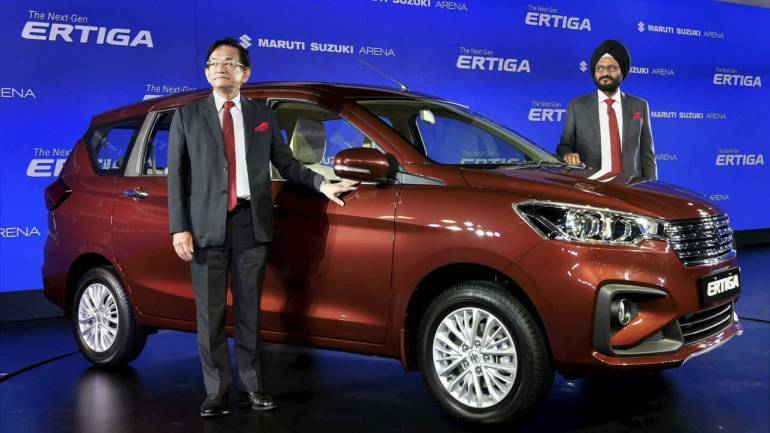 Maruti Suzuki, which controls nearly half of the domestic car market, posted 1.1 percent growth in sales in January. Rival Hyundai managed to beat January 2018 sales by a slim lead of just 300 units. SUV-specialist Mahindra & Mahindra fared worse than Hyundai selling 186 units more in January this year than January 2018. But by far Tata Motors was the worst of the lot from the big volume players category recording a dip of 11 percent in domestic sales. Toyota recorded a fall of 9 percent during the month but fellow Japanese rival Honda became the outlier recording a growth of 23 percent during the same month. After a disappointing festive season followed by a dull December, car makers hoped for a revival in January. But consumer sentiments failed to pick up and buyers preferred to stay away from showrooms. To make matter worse, most car makers raised prices during the month that further dampened spirits. But manufacturers blamed the lack of credit availability, the high cost of finance and heightened scrutiny for availing car loans as the main factors behind the lackluster performance in January. Discounts, however, have continued well into the new year. Manufacturers fear that if this round of hikes, which were primarily due to high raw material costs, have driven buyers away then it will be a tall task for everyone to bring them back later this year and next. New regulatory requirements and switch to Bharat Stage VI are the two main reasons for a significant jump in prices.